HP, Lenovo, and Dell collectively command over 50 percent of the worldwide notebook market with Asus, Apple, and Acer well behind. 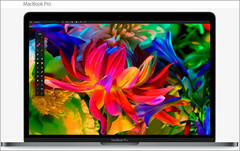 The latest MacBook Pro 13 refresh is polarizing and continues to grab headlines from around the web. The series is being criticized for its lack of standard ports and even an SD card reader, yet reviewers are praising it for its very fast SSD. More information on the notebook can be found on our review here. Apple marketing chief Phil Schiller is already calling the new MacBooks a sales success, but we will have to wait until the end of the year before numbers can be independently tracked. 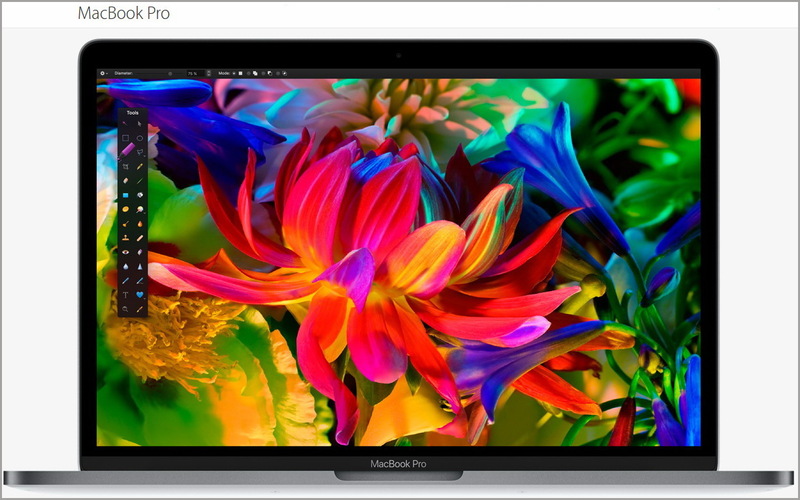 According to market researchers from TrendForce, Apple has lost ground in the notebook market leading up to October 2016. In fact, the Cupertino company controls just 8.2 percent of the market to be equal to Acer compared to 10.3 percent a year earlier. 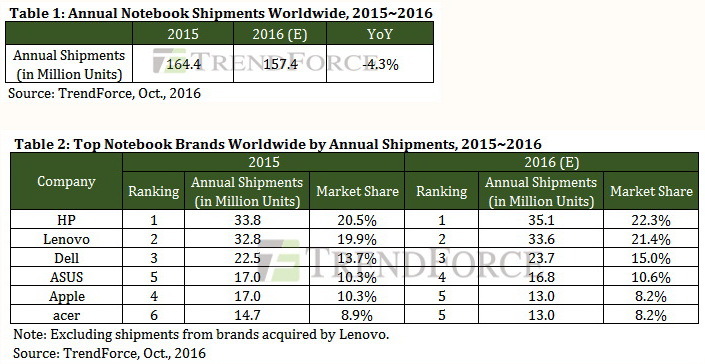 Asus, Dell, Lenovo, and HP have all gained in both worldwide market share and shipments as shown by the tables below. Despite the uptick for some major manufacturers, TrendForce is still expecting annual shipment of notebooks to total 157.4 million by the end of 2016 compared to 164.4 million in 2015 representing a drop of 4.3 percent. The notebook market as a whole has been on a slow downward trend as predicted by most analysts earlier in the year.